spirit of the city | Reflections of a not-so-average girl. Our lands are finally getting this much needed rain and there’s nothing more comforting than cooking up a big batch of soup on a quiet Sunday afternoon. I was checking my personal emails and my weekly Love and Lemons email showed up. Now usually when this blog digest arrives in my inbox, complete with beautiful photos and healthy recipes, immediately I bookmark the posts thinking, “I’ll make this someday.” Luckily, today was a bit different. I love this particular blogger because she inspires me to eat more vegetables, and incorporate more vegan and gluten-free dishes into my diet. The Chickpea Lemon-Miso Noodle Soup was what caught my eye. After reviewing the ingredients, I was happy to see that I actually had almost all in my pantry! White miso, check. 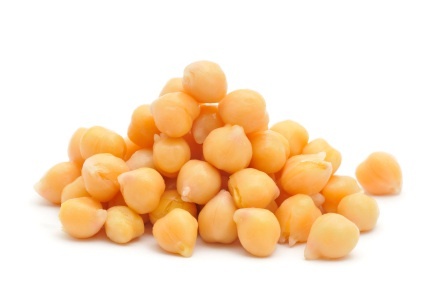 Can of chickpeas, check. Lemons, check. I didn’t have the brown rice noodles that it called for, so I improvised with a few whole wheat noodles, and I was fresh out of kale, but spinach made a nice substitute! That’s one thing that I love about making soup – you can do no wrong. Without further adieu, here’s my version of Chickpea Lemon-Miso [light on the noodle] Soup. Heat the oil in a pot over low heat and add the chopped shallot and garlic, and a few twists of pink Himalaya salt. Let that cook for a few minutes until they achieve translucency and add in the pepper flakes. I ended up using the whole head of black garlic, chopped into fine pieces, and added a spoonful of crushed garlic to taste. Combine with the broth and water, let simmer for 20-30 minutes. Strain out the chili flakes, garlic and shallot pieces (my personal preference). Add chickpeas, pasta, kale (or whatever green you like), and after the noodles have cooked al dente, reduce the temp to low. In a separate bowl, whisk together the miso and a few tablespoons of warm water until the miso is thoroughly incorporated. Add your desired amount of lemon. I used a lot since I really like acidic/lemon flavors and this lent a nice brightness to the soup. I’m going to use this as a go-to from now on! The recipe says to gradually add in the miso-water and taste as you go, but let’s be real. I love my salt and so I poured all of it in the concoction, and even added an extra squeeze of miso! The thing I love about soups [again] is that you can really make the recipe your own. Add more lemon, s&p, even some grated pecorino. For added protein, I actually threw in some cooked shrimp and sprinkled a bit of curry power for some kick. Some of my additions break the vegan rules, but you can absolutely make it that way. The combo of garlic, miso, and lemon are great for fighting those colds that seem to be cropping up this time of year, and leftovers will make a great lunch! Have you ever had something you’ve been saying you were going to do for years and finally got around to it? Well cheese making is my thing. And in the process of conquering this “goal” I found that making cheese isn’t as difficult as it looks! I had purchased a DIY cheese kit, but put off pulling the trigger for quite some time. On my first go around, I decided to be “health conscious” and use fat free milk. Boy, was I mistaken. You must ensure that you use high quality, full fat milk for best results. I started off making simple farmer’s cheese, but the world is your oyster! Mozzerella, goat, etc. 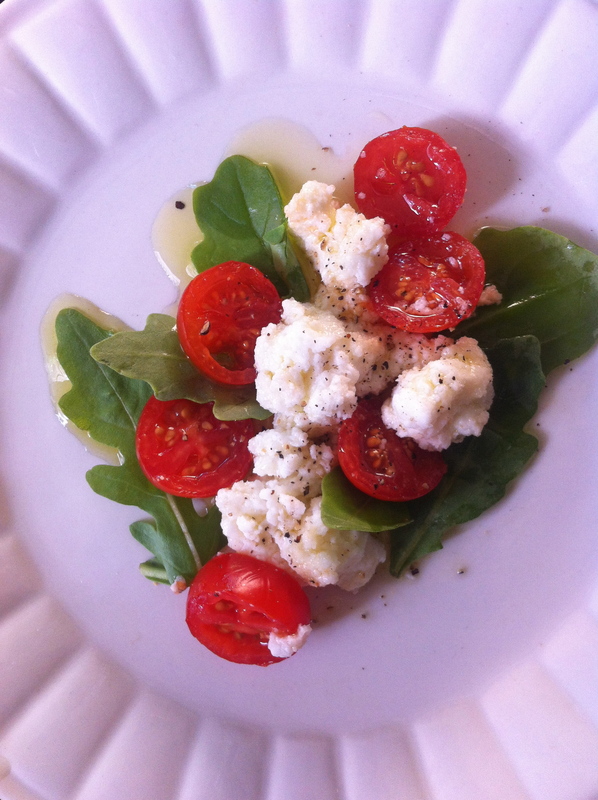 Farmer’s cheese is akin to ricotta and I enjoyed mine atop in-season tomatoes, basil, quality EVOO, sea salt and fresh cracked pepper. Instructions are below! 4. Drizzle in the acid water and stir quickly to ensure that all acid is thoroughly mixed into the milk. You will then begin to see clear separation between the curds (white clumps) and the whey (yellowish liquid). Allow the curds to cook this way for a full minute, then turn off the heat. 5. Carefully spook the curds into the cloth (catch the whey if you want to save it for later use) and allow most of the way to drain from your curds. Then mix in 1 tsp of salt, cracked pepper, chopped herbs, anything else that strikes your fancy! I’ve made one batch plain and another with mushroom salts I made and some Italian herbs. Voila! There you have it. Most people don’t believe me when I tell them how easy it is to make cheese. Of course, like everything there’s always a period of trial and error, but that’s part of the fun. The whey is okay to be frozen for later use and I have a lot of it, so I’d welcome your suggestions on whey usage. I’ve heard braising meat in it is delicious. Molto bene! Check it. Also, pay special attention to #23. 1. The Chinese fortune cookie was invented by a Japanese resident of San Francisco. 2. Everyone’s favorite – Irish Coffee. It was perfected and popularized in the City by the Bay -bay bay. 3. Fuggetabout Lombard Street. Filbert St. between Hyde and Leavenworth Streets is the steepest—31.5 degrees! 4. San Francisco was part of Mexico until the Mexican-American War in 1848. 5. During the Depression, not a single San Francisco-based bank failed. 6. Business was so good, the city constructed the Oakland Bay Bridge and the Golden Gate Bridge during the Depression. 7. When Al Capone was held at Alcatraz, he gave regular Sunday concerts with the inmate band, the Rock Islanders. He played the banjo. 8. In 1901, the city outlawed burials. Most of its cemeteries are in Colma, Calif. There, the dead outnumber the living by over 1000 to 1. 9. The “Summer of Love” actually started in the winter. The January 1967 Human Be-In at Golden Gate Park kicked it off. 11. The neighborhoods of Marina, Mission Bay, and Hunters Point are all built atop a landfill. Darwinism at it’s best. 12. The first bubonic plague epidemic in the continental US broke out in SF’s Chinatown in 1900. 13. As historical beginnings go, the United Nations Charter was drafted and ratified in San Francisco in 1945. 14. And as historic endings go, the Beatles gave their last full concert at Candlestick Park on August 29, 1966. 15. San Francisco was huge on the mid-century treaty circuit. In 1951, the Treaty of San Francisco officially ended Japanese hostilities from World War II. 16. When prospectors caught gold fever and hightailed it to California, San Francisco’s port became packed with abandoned ships. With demand to build the city booming, the ships were torn apart and repurposed into banks, businesses, and homes. 17. Decades later, in 1906, three quarters of the city was destroyed by an earthquake and fire. 18. Contemporary reports of the fire note that an unlikely hero helped save the city: Redwood trees. When fire hit buildings made of redwood, which has low resin content and a porous grain that takes in lots of water, they didn’t go up in smoke. 19. In September 1859, San Francisco’s favorite eccentric resident, Joshua Abraham Norton, declared himself America’s emperor. 20. Emperor Norton had a following: Nearly 30,000 people later packed the streets for his funeral. There’s a bar in the T-Loin named after him. You should go there. 21. The bear on California’s state flag is modeled after a California grizzly named Monarch, who was held at Golden Gate Park. 22. 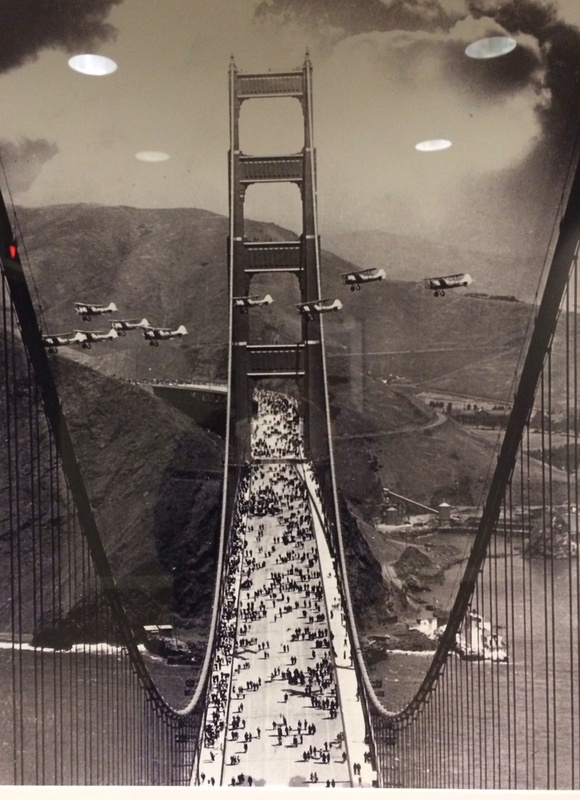 The U.S. Navy originally planned on painting the Golden Gate Bridge black with yellow stripes. The famed “International Orange” color was supposed to be a sealant. 24. The city’s cable cars are the only National Historical Monument that can move. And they cost $6 one way, so try to hop on a free ride. 25. The Liberty Bell once vacationed in San Francisco! When San Francisco hosted the Panama-Pacific International Exposition in 1915, America’s most famous bell made a national train tour to be part of the fun. After the exposition ended, it returned to Philadelphia, where it’s stayed ever since. 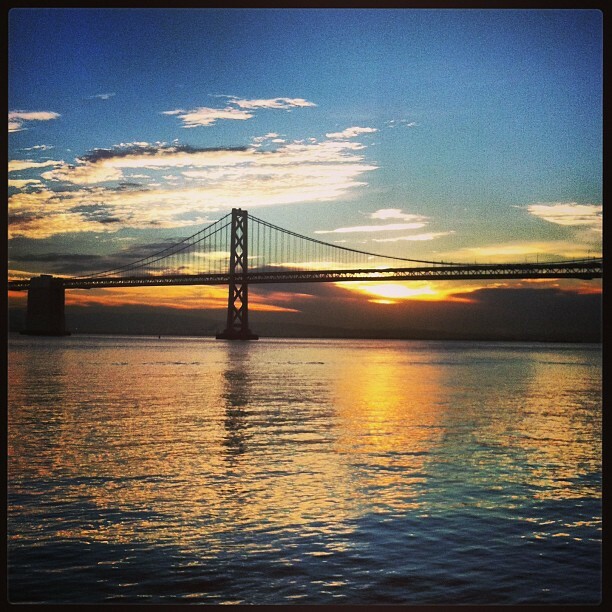 Once you’ve seen San Francisco, why travel anywhere else? Read the full text here: —brought to you by mental_floss. To Sauce or Not To Sauce…. Is that even a question? I know that typically food tastes best in it’s purest form, but I’ll be honest: I love me a good sauce. Aioli? Spoon it on. Three types of dipping sauces call my name. Especially on eggs in the morning, I’ve been known to use an entire bottle of Green Tabasco Sauce. Don’t get me wrong — at Bouchon, Thomas Keller’s eggs didn’t need a lick of anything, but my home concoctions sometimes call out for something more. I’m usually a fan of the aforementioned green sauce and if I absolutely HAVE to, I’ll go with regular Tabasco, Tapatio, or Sriracha. I know, call me crazy but I’ve never been a huge Sriracha fan. Crystal’s Hot Sauce is another one that hits it out of the park. Marinara Sauce – while typically relegated to the dinner table and doused on pasta, this is a great addition to scrambled eggs with sautéed mushrooms and spinach. We’re going for an Italian theme here, plus it’s a great way to use leftover sauce. Harissa – as comparable as ketchup is to Americans, Harissa is to Moroccans. This stuff is out-of-this-world. I literally have gone through half a jar in two days! It’s the perfect kick in the morning. 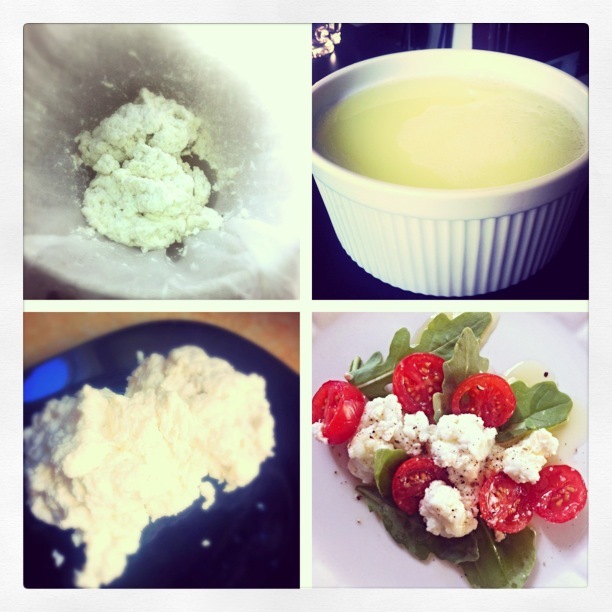 Herb Cream Cheese – now I haven’t tried this yet, but I found this recipe on 101 Cookbooks and instantly bookmarked it. Who doesn’t love cheesy, herb laden eggs? Transports you to France. Go try it for yourself! Any other additions I failed to mention? I’d love to hear about them! I believe I’ve written about gratitude before, but it’s a concept that should always be in our awareness on a daily basis. 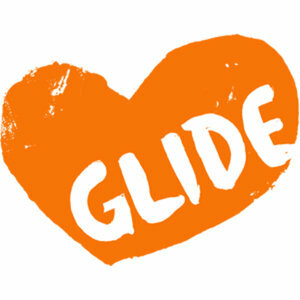 Yesterday, I carried out a volunteer shift at Glide Foundation where I served lunch to those less fortunate. I had already signed up to do so about a week ago, however after a weekend of indulgence (read bubbles, bottle service, and Bret Michaels) I thought this might do me a bit of good. Looking back though, I admit – it’s not about me. I didn’t do this for this for the selfish act of feeling good about myself. Yes, you do achieve that high of helping others, but to those in that dining room it’s just another day in the life. Check out a video I made here. Yesterday was Burger Day at Glide. Here in San Francisco and beyond we have such an obsession with burgers. I’m guilty of it: KronnerBurger? I still can’t believe I have not been given my obsession with Chris Kronner’s hands resulting from the oodles of publicity and that bloody, bone marrow topped burger. Umami Burger – can you say truffle burger or bacon-wrapped scallop? Oh and who can forget the Most Expensive Burger made with Japanese Waygu beef, 10-herb white truffle butter, smoked Pacific sea salt, 18-month cheddar, shaved black truffles, a quail egg, and a white truffle-buttered roll. Yet in the dining room at Glide, lunchgoers weren’t being asked if they would like roquefort, swiss, or gruyere cheese to top their burger. Add an egg for $1.50? Nope. Their cheese consisted of an orange substance with a gooey yet chunky consistency that most patrons scraped off. Aioli wasn’t the spread of choice, Dijon mustard was not available, and chef was fresh out of housemade ketchup. Instead, guests were only given 1 packet of ketchup and 1 packet of mustard. We weren’t allowed to give them additional packets. In fact, we couldn’t give them any bags to take food, they had to use their own. How many times have you taken it for granted when asked by the server if you would like the remainder of dinner packed up in a biodegradable container for your to take home to enjoy later? Sparkling or still water? If you dine at Glide on a regular basis, you have one choice: still water, from a garden hose, scooped out of a garbage bucket. If you walk around the city on a daily basis, and have these homeless or less fortunate people ask you for spare change, you might be like me and simply ignore them. Fail to treat them like human beings. But they are just like us. They need fuel to carry on with their day. They are just trying to survive. Having their chair pulled out is a luxury. As is being called “sir.” Told to “have a nice day.” Or simply a “thank you.” When was the last time you expanded your world in that way? Yesterday I felt like my heart expanded and grew with empathy. Yes, I will probably will go back to indulging in some way, but I will also remember my experiences and how these people are actual human beings too. Now I’ve volunteered at the San Francisco Food Bank, but I’ve never seen the look in people’s faces when they are actually being satiated by the food they are receiving. This is on a completely different level than packing a box with cereal and being disconnected to the task at hand. I said Grace with a gentleman yesterday as he sat down to enjoy his burger. He followed by saying the word “gratitude” to me. He reminded me to be grateful. I thought about that a lot yesterday and I continue to today…and I will continue to think about what I am grateful for the next day and the next. I encourage you to too. Because where ever you are in life, it’s important to be thankful. Remember that we are all blessed with the gift of life. For more information on how to volunteer to serve a meal, click here. I’ve recently come to recognize the importance of balance. Whether it be work-life, going out vs. staying in for “me time,” or whatever your personal case may be, balance is key. A while ago, I had noticed that life was a little off kilter…there wasn’t enough balance and things just weren’t right. I realized that when that happens, you just need to take some time to refocus on your goals and miraculously doors open for you. TRX – a sweat session not only works out your body and keeps you healthy, but it also is great for you mind! I cannot believe how happy exercising makes me – those endorphins are killer. Can’t wait to try SoulCycle and Cardio Barre. Eating a healthy breakfast – I’ve heard it SO many times, but never truly understood the importance of breakfast until recently. There’s nothing like enjoying some cheesy eggs with green Tabasco sauce and your coffee in the morning before the day gets crazy and hectic. Don’t reach for the phone the minute you open your eyes. Sleep is the only time that we are truly unplugged from our devices and you are probably going to spend the next 12 hours staring at your email/Facebook/Instagram/Twitter, so take time to stretch and create intentions for the day. Learn to say no. This one has taken me years to figure out. I was always the “yes” girl, up for anything and now I’m seeing that it’s okay to say no to event invites, parties, and dinners – and there’s nothing like a quiet night with your hot tea and a good book. The world is not going to end if you don’t send this email/follow up with this person/etc. Yes, work and networking is important, but your sanity is also important. If you have any useful ways to maintain balance in your life, I’d love to hear it in the comments section!